Updated on 2019 30 E. Hubbard St. , Chicago , IL , USA (Postal Code: 60611). Among all the activities offered by the center, when you are interested in swimming you can expect to take pleasure in 20 yards, Indoors. Just in case you want to get in touch with this Swimming Pool prior to dropping by, we only know the phone number. Updated on 2019 55 East Randolph Street , Chicago , IL , USA (Postal Code: 60601). This sports center offers 25 yards, 3 lanes, 3.5f - 4 feet depth, Indoors. For this Pool, only phone number is number here. Updated on 2019 505 N. Michigan Ave. , Magnificent Mile , Chicago , IL , USA (Postal Code: 60611). Among all the activities offered by the center, for anybody who is thinking about swimming you may enjoy 25 yards, 6 lanes, Indoors. If it is advisable to make contact with this Swimming Pool, email address and phone number are both number. Bally's Chicago Health Club - N. Cumberland Ave. Updated on 2019 5444 N. Cumberland Ave. , Chicago , IL , USA (Postal Code: 60656). Swimmers like you reported 25 meters, Indoors. Unfortunately we do not have the e-mail address of this Swimming Pool, but we can give you the phone number. Updated on 2019 8600 W. Bryn Mawr Ave. , Chicago , IL , USA (Postal Code: 60631). This sports center offers 20 yards, Indoors. For this Swimming Pool, only phone number is number here. Updated on 2019 1040 W. Granville Avenue , Chicago , IL , USA (Postal Code: 60660). This sports center delivers 20 yards, 5 lanes, Indoors. Contact data for this Swimming Pool for instance phone number and email address are number. Updated on 2019 800 North Michigan Avenue , Chicago , IL , USA (Postal Code: 60611). Among all the activities offered by the center, when you are interested in swimming you can expect to take pleasure in 25 yards, 2 lanes + one 20 yards lane, Indoors. If you need to get in touch with this Swimming Pool, email address and phone number are both number. Updated on 2019 501 N. Central Ave. , Chicago , IL , USA (Postal Code: 60644). Among all of the activities offered by the center, if you're enthusiastic about swimming you can delight in 20 yards, 4 lanes, Indoors. Just in case you want to contact this Swimming Pool before dropping by, we only know the phone number. 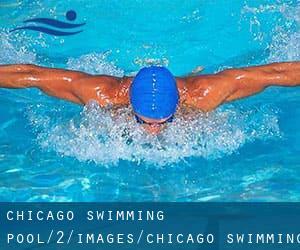 Updated on 2019 900 W. Wilson Avenue , Uptown , Chicago , IL , USA (Postal Code: 60640). Among all the activities offered by the center, should you be interested in swimming you might enjoy 25 yards, 6 lanes, 12 feet maximum depth, Indoors. Just in case you desire to make contact with this Pool before dropping by, we only know the phone number. Updated on 2019 500 N. Kingsbury , Chicago , IL , USA (Postal Code: 60610). Few days ago a regular user of this center told us they offer 25 yards, 5 lanes, Indoors. Furthermore, they keep in good conditions 20 yards, 4 lanes, Indoors. Contact data for this Swimming Pool for example phone number and email address are number. Updated on 2019 513 E. 51st St. , Chicago , IL , USA (Postal Code: 60615). This sports center delivers 25 yards x 42 feet, 6 lanes, Indoors. For this Pool, only phone number is number here. Updated on 2019 1833 East 71st Street , Chicago , IL , USA (Postal Code: 60649). Swimmers like you reported 25 yards x 25 feet, 4 lanes, Indoors. Unfortunately we do not have the email address of this Swimming Pool, but we can give you the phone number. Updated on 2019 5500 North St. Louis , North Park , Chicago , IL , USA (Postal Code: 60625). Among all the activities supplied by the center, if you are enthusiastic about swimming you can expect to appreciate 25 yards, 8 lanes, Indoors. Just in case you wish to get in touch with this Swimming Pool just before dropping by, we only know the phone number. Updated on 2019 6235 S. Homan Ave. , Chicago , IL , USA (Postal Code: 60629). This sports center delivers 20 yards x 30 feet, 4 lanes, Indoors. For this Swimming Pool, only phone number is number here.